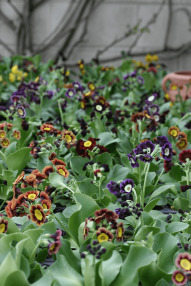 Sadly due to the damage caused to our Auricula tunnel by storm Eleanor in 2018 many of our Auricula plants were lost last year. The damage was increased by the loss of their controlled environment and severe heat of the summer. Repairs took a long time and were finally completed in September and the new tunnel is doing well. However the losses we suffered were substantial and even the autumn divisions didn’t increase our stocks back to normal. Whilst we still have the range of varieties, quantities of each variety is low and stock must be maintained for us to be able to continue the collection. 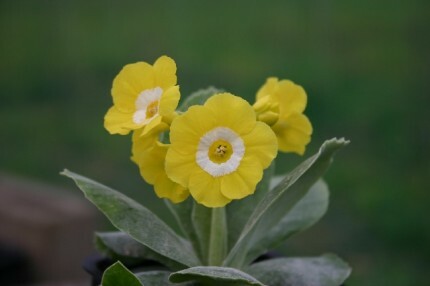 Therefore at our Auricula Day there may not be the quantity of plants available as in previous years. However there will still be plenty to see and advise and demonstrations given throughout the day. If you are travelling far we recommend either emailing or ringing the nursery beforehand to discuss availability. We will be taking pre-orders for specific varieties for next year. 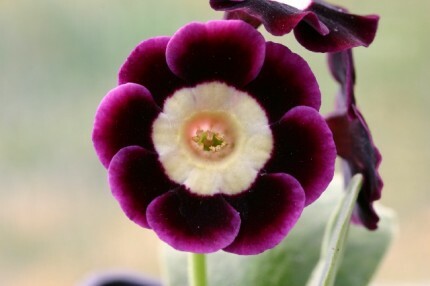 Auriculas flower between March-May and are very hardy. Their flowers are sweetly scented especially en masse. 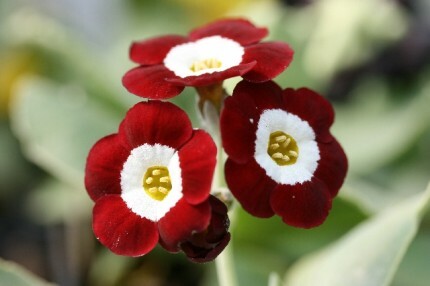 They make excellent feature plants displayed in pots, butlers sinks or window boxes or even your own ‘Auricula Theatre’. Some varieties are happy in the garden borders if not swamped by larger herbaceous perennials. Auriculas come in seven different groups all with their own unique qualities. There are ‘Stripes’, ‘Doubles’, ‘Borders’, ‘Fancies’, ‘Edges’, ‘Alpines’ and ‘Selfs’. The most floriferous are the ‘Alpine’ and ‘Border’ groups. 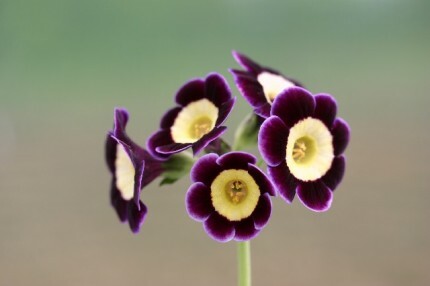 Auriculas originate from the Alps and are incredibly hardy plants. Being of this alpine nature they do not like too much water and should be watered very little during the winter months. In the summer they require shading from hot sun but appreciate light through the winter. This involves a lecture on Auricula history and classification. Demonstrations on breeding and the ability to ‘have a go’ at division.